Please note that starting in June, our community will meet for worship on the 1st and 3rd Sunday of the month at 3 pm at the Listening Post. Please go to our About page to see the full schedule listing. There you will also find additional services/events for feast days and other occasions (which may be held at an alternate location). On the 2nd and 4th Sundays there is another service at the Listening Post, an Urban Aboriginal Prayer Circle with Vivian Seegers at 2 pm. 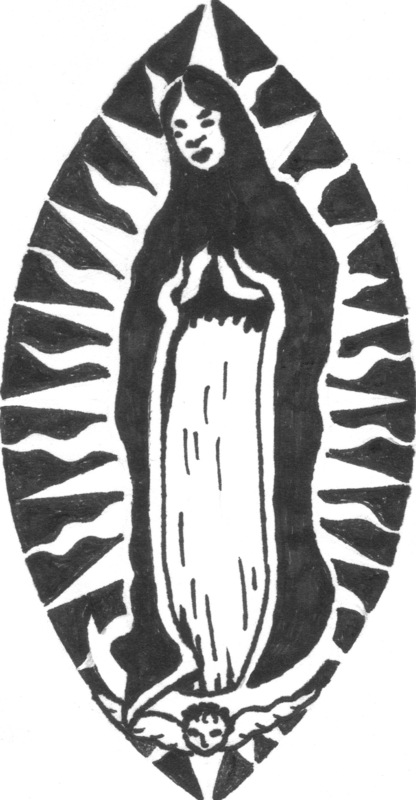 On August 31st, 2014 at 3:00 pm, the Our Lady of Guadalupe Tonantzin Community will join with congregations across North America in lifting up and honouring the sacred link between work and faith. This is an opportunity to educate ourselves about the issues that impact workers, especially those in low-wage jobs, and reflect on the true meaning of Labour Day. A representative [TBA] from the Metro Vancouver Alliance will join us to speak on what it means to be a person of faith and a worker advocate.